This episode is airing on Friday, May 6th 2016 , the plot seems really good in my opinion, what's your opinion, do you think it's going to be as good as some other new ones ? My eyes will be "sold" for the episode! As said above, we already have a topic for this episode which will be open after it has aired. For now continue to use the existing news topic on the new episodes. This is my fault. I promised him an eppy discussion before more_spandy made all of them. I wasn't a big fan of this one. Probably my least favorite of the week. i recommend this episode veryveryveryveryveryveryveryveryveryveryveryveryveryveryveryveryvery much! I thought this episode was great, One of my favorite parts are the faces when Spongebob speaks "German". There are a lot of funny jokes in this episode, and it's fun too watch too. Good episode. SpongeBob made some great mouth movements when he spoke German, and there were some good jokes. Also, I was surprised to hear the hillbilly version of "Skipping to School" and "Hawaiian Ragtime Blues". Although I hadn't seen the Fishbowl (which is unfair that I missed it since I've already seen the rest of the week), this is probably my least favorite episode of the week. Not season 7 level of bad/worst, but the plot screamed "Idiot Plot." I'm gonna have to do a longer review at DeviantArt to get what I'm saying. Solid premiere of episodes over all. I hope new episodes come out by June. Wasn't as good as "Married to Money" and "CopyBob DittoPants" (and likely "Sharks vs. Pods", but I haven't seen that one), but I liked it more than "The Fishbowl". Overall a pretty solid episode with some really fun moments. Really good episode. Broke the streak of really good episodes getting better and better, but then again CopyBob was one of my all time favorites in the entire series and Sharks vs. Pods was also very very well done, being a classic episode. That pair of episodes is a Tough Act To Follow. I think this is still one of the season's best, and that's not bad at all. 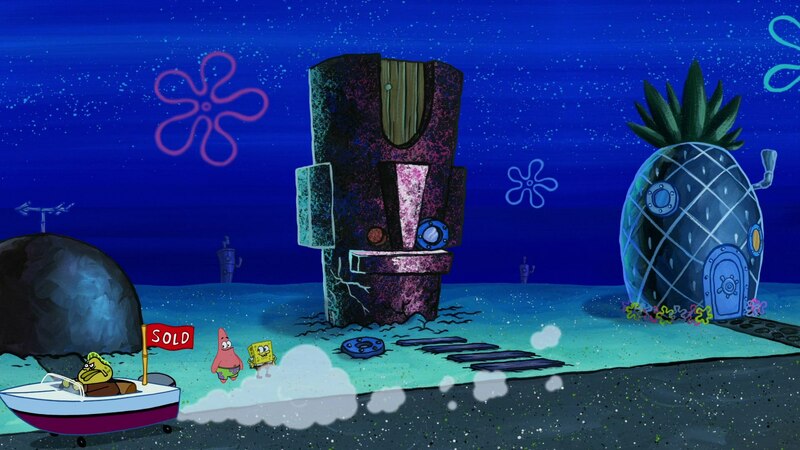 I laughed at the whole "trash house" thing, the entire reason they were "kicked out" of their houses, Squidward pretending to be all the people in the houses, and best of all, the performance of the children. Very funny episode that I loved. 10/10, highly recommended (I give 10/10s a lot as you may know, but this is still a really good episode! Besides, I also watched the credits for "Lame and Fortune". I won't tell you what's in there. Also, what is "Hawaiian Ragtime Blues"? Am I the only one who didn't really laugh at any of the jokes? It seems like they were all either done before or just not that funny. Go to 8:42 of this video. BTW, When I saw the performance of the Fish Trapp "children", I was like, "So THIS is what Vincent Waller was referring to by the von Trapp children appearing!" I really enjoyed this episode. 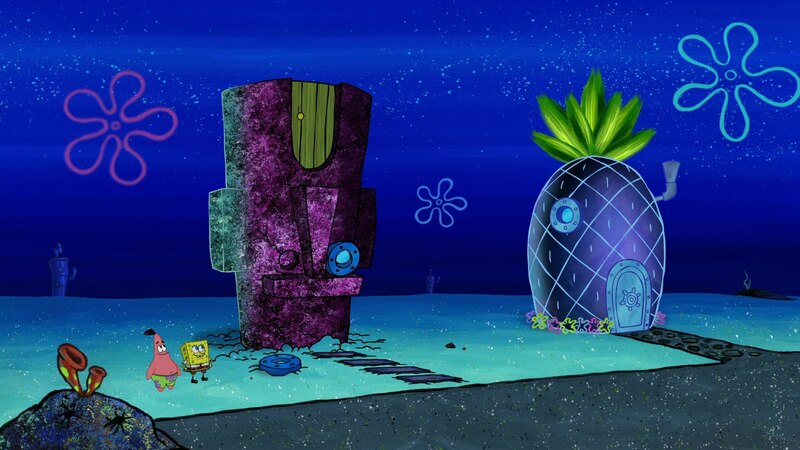 My favorite part was when squidward was running back and forth between houses. And spongebob and squidward trying to speak German. And when the fish trap children were singing. Just the whole episode was funny to me. And it felt very original actually, and that's how I felt about all the new episodes this week. Also, I didn't quite catch what squidward said at the very end after they flipped his house, but I think it was something in german. Well, the episode was 10/10 for me. My favorite was Squidward going back and forth between houses and SpongeBob speaking German.